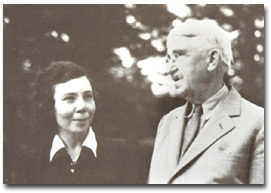 John Dewey was not a member but was a close friend of the Unitarian movement. The memorial service celebrating his life was held at a church with a long-distinguished Unitarian heritage, the Community Church of New York. Reverend Donald Harrington had once driven Dr. Dewey from Chicago to Madison, Wisconsin, and back, and the philosopher had asked his wife to contact Harrington when he died. She did, and she also requested that Dewey’s Unitarian philosopher friend, Max Otto of the University of Wisconsin, be the speaker. Below are two biographical perspectives on Dewey, the first from Max Otto, and the second from Alfred North Whitehead. John Dewey. Courtesy of the Harvard University Archives. Toward sundown on the first day of June, the thing happened that had to happen sooner or later. The life of John Dewey came to a close. He had remained singularly active, not only in body but in mind and heart and spirit, more than a score of years after reaching the officially designated termination of professional effectiveness and the traditionally announced ending of the possibility of finding life enjoyable. But it is not granted to any man to live forever. It is being said in newspaper reports, in editorials, in conversations across the country, that such a life cannot end; that John Dewey lives on and will live on down the long stretch of time. In one sense this is profoundly true. In another sense it is not true at all. John Dewey’s impact upon affairs, upon public education, the sciences, philosophy, religion, the enterprises of politics, of business, of labor, has been so pervasive and penetrating that men and women in the most various walks and ways will continue to think and act, unknowingly when not knowingly, under the persisting influence of his initiating genius. But he himself is gone. The never failing source which he was of original insights and novel perspectives, of fresh ideas and new methods creatively responsive to changed conditions‚ this has been taken away. Dewey early in his career at Columbia University. Courtesy of The Dewey Papers, Special Collections, Morris Library, Southern Illinois University-Carbondale. John Dewey lived his philosophy. His stature as a crusader, who poured his incredible gifts and energies into the struggle to improve the lot of mankind, equaled his stature as a philosophic thinker and educational pioneer. A progressive in every sense of the word, he took his place at the front with the most daring of those who sought to build a new political party for the people of America. He gave his vigorous support to social movements designed to provide more hope and greater opportunity and dignity for the underprivileged of our country and the world beyond our shores. One of John Dewey’s far-reaching ideas was the idea that talking or communication is miraculous. It seemed to him the most wonderful occurrence in the world that things should have evolved beyond externally pulling and pushing one another around, and we should have developed the ability to communicate, should have acquired the art of handling our feelings and meanings to one another. It is becoming increasingly difficult to hear one another talking. The complexity and speed, and the very weight of life’s machinery are forcing the spirit of man to retreat in upon itself. Yet out of the deepest retreat, even out of the fears, suspicions, distrusts, animosities that shout their denunciations on every side, we keep on talking to one another. We ask one another for understanding, for support, for affection. John Dewey was among the greatest of those who persisted in laboring to win better and better means of articulating man’s hunger for comradeship in making individual lives and the lives of individuals in togetherness as joyous and worthy as possible. And he did not speak, as have others, for a given culture, a limited geographical area, a particular time. He spoke for the human undertaking as a whole, for the entire world for times to come no less than for the time in which we must make our way. The past did not enslave his thinking and the future has not yet caught up with him. 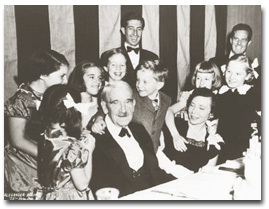 John Dewey celebrates his 90th birthday at a party given in his honor in 1949. Courtesy of Special Collections/Morris Library, Southern Illinois University, Carbondale. Philosophy is a widespread, ill-defined discipline, performing many services for the upgrowth of humanity. John Dewey is to be classed among those men who have made philosophic thought relevant to the needs of their own day. In the performance of this function he is to be classed with the ancient stoics, with Augustine, with Aquinas, with Francis Bacon, with Descartes, with Locke, with Auguste Comte. The fame of these men is not primarily based on the special doctrines which are the subsequent delight of scholars. As the result of their activities the social systems of their times received an impulse of enlightenment, enabling them more fully to achieve such high purposes as were then possible. By reason of the Stoics, the subsequent legal tradition of the Western World was securely founded in the Roman Empire; by reason of Augustine Western Christianity faced the Dark Ages with a stabilized intellectual tradition; Aquinas modernized, for the culmination of the Middle Ages, this ideal of a coordination of intimate sources of action, of feeling, and of understanding. The impress on modern life due to Bacon, Descartes, Locke, and Comte, is too recent to need even a sentence of reminder. 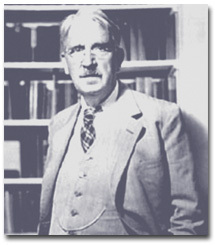 John Dewey has performed analogous services for American civilization. He has disclosed great ideas relevant to the functioning of the social system. The magnitude of this achievement is to be estimated by reference to the future. For many generations the North American Continent will be the living center of human civilization. Thought and action will derive from it, and refer to it. We are living in the midst of the period subject to Dewey’s influence. For this reason there is difficulty in defining it. We cannot observe it from the outside in contrast to other periods also viewed in the same way. But knowledge outruns verbal analysis. John Dewey is the typical effective American thinker; and he is the chief intellectual force providing that environment with coherent purpose. Also wherever the influence of Dewey is explicitly felt, his personality is remembered with gratitude and affection. The human race consists of a small group of animals which for a small time has barely differentiated itself from the mass of animal life on a small planet circling round a small sun. The Universe is vast. Nothing is more curious than the self-satisfied dogmatism with which mankind at each period of its history cherishes the delusion of the finality of its existing modes of knowledge. Skeptics and believers are all alike. At this moment scientists and skeptics are the leading dogmatists. Advance in detail is admitted: fundamental novelty is barred. This dogmatic common sense is the death of philosophic adventure. The Universe is vast. 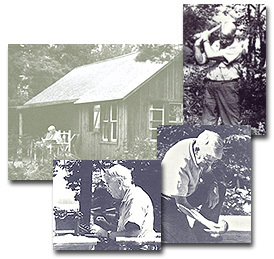 Dewey working and studying at his summer retreat at Hubbards, Nova Scotia in the mid-1940s. Dewey has never been appalled by the novelty of an idea. But it is characteristic of all established schools of thought to throw themselves into self-defensive attitudes. Refutation has its legitimate place in philosophic discussion: it should never form the final chapter. Human beliefs constitute the evidence as to human experience of the nature of things. Every belief is to be approached with respectful inquiry. The final chapter of philosophy consists in the search for the unexpressed presuppositions which underlie the beliefs of every finite human intellect. In this way philosophy makes its slow advance by the introduction of new ideas, widening vision and adjusting clashes. The excellence of Dewey’s work in the expression of notions relevant to modern civilization increases the danger of sterilizing thought within the puny limitations of today. This danger, which attends the tradition derived from any great philosopher, is augmented by the existing success of modern science. Philosophy should aim at disclosure beyond explicit presuppositions. In this advance Dewey himself has done noble work. — From The Philosophy of John Dewey; edited by Paul Arthur Schilpp (The Library of Living Philosophers, New York: Tudor Publishing Company, 1951). 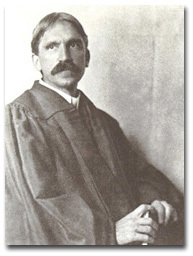 The classic and controversial expression of John Dewey’s philosophy of religion is found in his Terry Lectures at Yale University, entitled A Common Faith. Below is an excerpt from that work. The idea of God, or, to avoid misleading conceptions, the idea of the divine is, one of ideal possibilities unified through imaginative realization and projection. But this idea of God, or of the divine, is also connected with all the natural forces and conditions—including man and human association—that promote the growth of the ideal and that further its realization. We are in the presence neither of ideals completely embodied in existence nor yet of ideals that are mere rootless ideals, fantasies, utopias. For there are forces in nature and society that generate and support the ideals. They are further unified by the action that gives them coherence and solidity. It is this active relation between ideal and actual to which I would give the name “God.” I would not insist that the name must be given. A clear and intense conception of a union of ideal ends with actual conditions is capable of arousing steady emotion. It may be fed by every experience, no matter what its material. In a distracted age the need for such an idea is urgent. It can unify interests and energies now dispersed; it can direct action and generate the heat of emotion and the light of intelligence. Whether one gives the name “God” to this union, operative in thought and action, is a matter for individual decision. But the function of such a working union of the ideal and actual seems to me to be identical with the force that has in fact been attached to the conception of God in all the religions that have a spiritual content; and a clear idea of that function seems to me urgently needed at the present time. John and Roberta Grant Dewey, late 1940s. Courtesy of The Dewey Papers, Special Collections, Morris Library, Southern Illinois University Carbondale. One reason why personally I think it fitting to use the word “God” to denote that uniting of the ideal and actual which has been spoken of, lies in the fact that aggressive atheism seems to me to have something in common with traditional supernaturalism. I do not mean merely that the former is mainly so negative that it fails to give positive direction to thought, though that fact is pertinent. What I have in mind especially is the exclusive preoccupation of both militant atheism and supernaturalism with man in isolation. For in spite of supernaturalism’s reference to something beyond nature, it conceives of this earth as the moral center of the universe and of man as the apex of the whole scheme of things. It regards the drama of sin and redemption enacted within the isolated and lonely soul of man as the one thing of ultimate importance. Apart from man, nature is held either accursed or negligible. Militant atheism is also affected by lack of natural piety. The ties binding man to nature that poets have always celebrated are passed over lightly. The attitude taken is often that of man living in an indifferent and hostile world and issuing blasts of defiance. A religious attitude, however, needs the sense of a connection of man, in the way of both dependence and support, with the enveloping world that the imagination feels is a universe. Use of the words “God” or “divine” to convey the union of actual with ideal may protect man from a sense of isolation and from consequent despair or defiance. — Abridged from A Common Faith; by John Dewey (New Haven: Yale University Press, 1934). 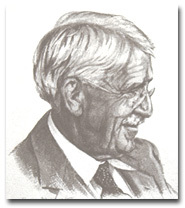 Rockefeller, Stephen C. John Dewey: Religious Faith and Democratic Humanism. New York: Columbia University Press, 1991. Smith, Warren Allen. “Dewey, John (1854-1952)‚” in Who’s Who in Hell. New York: Barricade Books, 2000.